The SmartAVI SX-RX500PCBS Keyboard, VGA Monitor, Mouse and RS232 Receiver requires the SX-TX500PCBS transmitter. Together, the pair of Cat-5 baluns extend these PC peripherals up to 1000' away from the CPU. Users can access their computers from remote locations in homes, offices, studios, networks, etc. 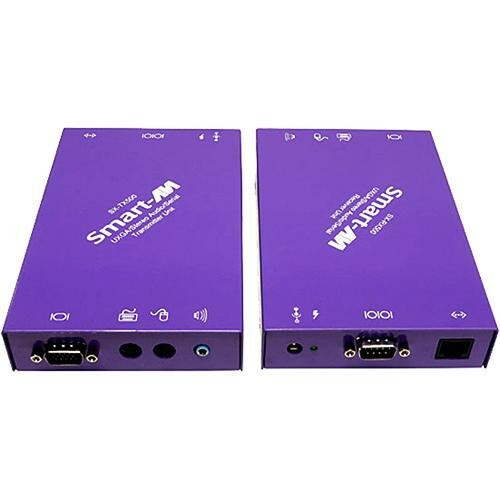 The signal is sent between the transmitter and receiver via standard Cat-5 cable and Windows, NT, OS/2, UNIX and Linux are among the supported operating systems.